So, you've decided to open your wedding day up and allow guests to remain "plugged in" (Yes, there are those who are demanding their wedding day remains a private affair and are requesting that all guests put their phones down ), but have you considered creating your very own wedding #hashtag for the celebration? A massive trend in over the last few years, having a personalised hashtag opens up a world of opportunity for the bride and groom. From having a ready-made photo album to allowing your guests to follow and be part of every step of your wedding planning and day, they are cute, fun and we are loving them! But, if you find yourself sitting on the wall with this trend we have 5 super reasons to get on board and create your very own, original, #hashtag! Really a follow-on from the above point, but a personalised hashtag can be used as a modern-day guestbook. Encourage guests to tweet, Instagram and Facebook their messages of support. It is just an idea, but perhaps encourage one social channel for this, and relax as the messages of jubilation flood in! Dying to get using your married name? 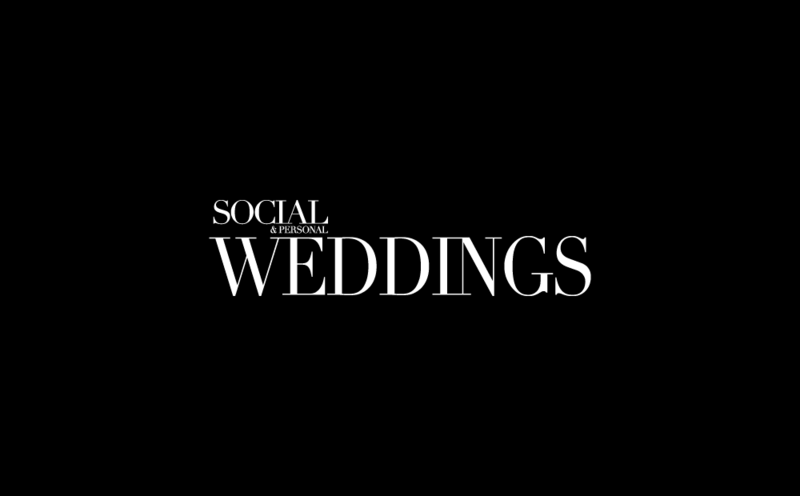 Make it part of your wedding hashtag and start using it straight away! Sure, there are those that deem changing your name to be a little archaic, but there are plenty of independent, strong women out there doing it for themselves while still rocking their husband's surname! "Do you know what the hashtag is?" "Do you have the hashtag handy?" "Do you know who that hottie is? "...Yes, the possibilities are endless. Get people talking. Get hashtagging. We love signage. No, we really LOVE signage. And in our opinion, any reason for some more signage is a good reason for celebration. Inform your guests of your #hashtag and remind them throughout the reception with various forms of incredible cute signage. Lacking inspiration? Check out our awesome guide to the perfect wedding signage.